Through customized counseling sessions, our counselors will journey with patients as they work through some of life’s greatest struggles. Learn about each of our counselor’s areas of expertise, certification, and unique skill set below. Dennis’s belief is that we all need counseling in some fashion and at some point in our lives. For some that is more situational and for others it is more of a lifelong journey. He doesn’t believe it is reserved for a select few or that it means a person is weak or abnormal for them to have things that they struggle with in life. His sessions are down to earth, and he helps put clients at ease as they work through their issues and concerns. He believes that he is not able to fix or change anyone other than himself, but uses the training, experience, and skill he has to assist clients in making changes in their lives. Jeanne has worked in a variety of places over the last 40 years: inpatient and outpatient settings, private practice, in a children’s hospital and on U.S. military bases overseas in Seoul, South Korea (Army), Lakenheath, UK (Air Force) and Sigonella, Sicily, Italy (Navy). While overseas, Jeanne received training in working with posttraumatic stress disorder as our military cycled in and out of areas of conflict. While in private practice, Jeanne lived and worked in Norfolk, Virginia working in the same private practice for 30 years. While overseas, Jeanne was required to acquire certification in addiction. 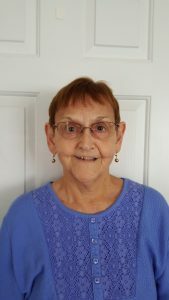 Jeanne semi-retired in 2014 and has continued to pursue continuing education credits in forms of addiction: gambling, alcohol, and other compulsive behaviors. Additionally, Jeanne has extensive experience in working with adolescents and issues of addiction and behavioral management in that population. Jeanne believes in working with a sense of humor and positivity. She is goal-oriented and wants clients to set their own goals and specific steps about how to achieve their goals. Jeanne expects periodic reviews from clients regarding their therapeutic experience with her and wants honest, direct feedback regarding what is helping and what is not. She recognizes that there is no one approach to all clients and wants to deliver services unique to each client. Jeanne was raised in New England. Having pursued a Master’s in Pastoral Studies, she is comfortable talking about a client’s relationship with God or his/her spiritual beliefs and perceived needs; however, she sees this exploration as up to the client. While Elliott is confident in his skills as a therapist, he believes you are the best expert on yourself. He believes it is his job to help you face the problems and roadblocks that are holding your life back, and learn the skills and gain the confidence to face and conquer these problems. He has extensive experience working with those who are struggling with addiction. 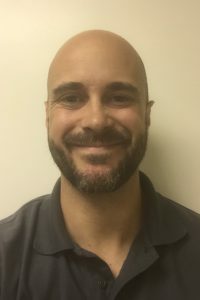 He has worked as an Intensive Outpatient Coordinator as well as providing support and counseling in his private practice. When he works with a client he is focused on their problems and their struggles. He wants to help patients gain the knowledge and ability to overcome whatever is preventing them from being the best person they can. Hargreaves-Cormany’s approach to treatment is best described as eclectic. This means that she is familiar with many techniques and draws from the one that seems most relevant to the client. She prefers Rogerian Client-Centered Therapy and Narrative Therapy theories, such as the view that the problem is separate from the person; that is the belief that the client is not the problem, yet the problem is the problem. As a clinician, she meets the client where he or she is at, and together they create collaborative goals based on each client’s individual needs. Her primary objective is to help patients achieve therapeutic goals, which enable them to be as healthy and happy as possible. 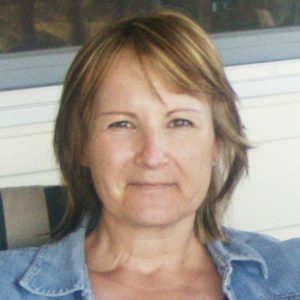 Carole Miller, LCSW-C, has over twenty years counseling experience and has performed online therapy since the 1990’s. Carole has extensive experience working with culturally diverse individuals, families, couples and treatment groups. She’s worked closely with people of various backgrounds, ethnicities and spiritual beliefs in private practice and in various government, community, and ministry settings. Carole has a strong clinical background and years of training in family systems, grief and loss, depression, anxiety and PTSD, crisis counseling, dissociative disorders and related traumas, sexual and physical abuse, childhood traumas, sexual offense, domestic violence, addiction, substance abuse, divorce recovery, spiritual abuse and healing, 12-step recovery issues, codependency and adult children issues. 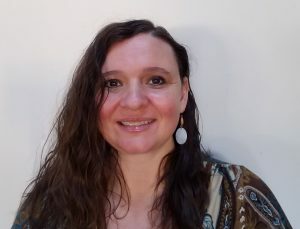 She has extensive experience using a client centered, strengths-based approach along with various treatment modalities such as insight-oriented therapy, mindfulness and relaxation techniques, interpersonal resolutions and communication skills, psycho-education practices, brief treatment and task-centered therapy, intra-psychic exploration and cognitive-behavioral approaches, in order to help her clients heal and reach their goals. 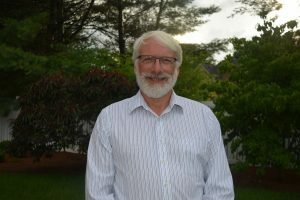 Russell believes in person-centered counseling where the therapist’s role is to be fully present and demonstrates authentic caring for each and every client. She uses a variety of methods including person-centered, CBT, psychodynamic, DBT, and others in order to help clients achieve their goals and dreams. 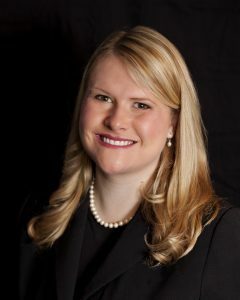 Trickett is a licensed professional counselor in Virginia and Florida, with over 10 years of experience in the human services field. 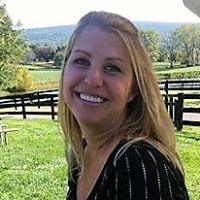 She has extensive experience working with anxiety, depression, addiction and relationship issues, with an added passion for assisting those who are interested in exploring lifestyle changes, such as minimalism, simplifying and living off-grid, or in a Tiny House. She offers meditation mentoring and has a tremendous interest in helping people learn how to get better sleep. She assists patients in sorting through negative thoughts or overwhelming feelings, so that they can see things clearly and make the right choices. Her goal is to ensure patients feel respected and heard. Her job is to help them figure things out so that they can move forward with the life they want.